Everyone who is trying to do more with less needs this book! 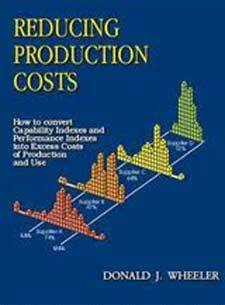 By using a proven methodology of reducing production costs, this book shows you how to evaluate paybacks so that you can pick winning improvement strategies. Unlike many programs that often rely on smoke and mirrors, this approach is built solely upon the process data—no guesswork needed. These techniques remove the guesswork and replace it with practical, easy-to-use tools that are built upon a rigorous theoretical foundation. While some of this material has been available for years, there has been no serious effort to integrate the tools into the conceptual framework that promotes their effective use. By using this book, you can join those practitioners who have had spectacular results because they were taught the conceptual framework for the techniques. Their success is proof that this methodology, used as the foundation for improvement efforts, not only works in practice, but that it works supremely well. This book is intended to breathe a breath of life into the dry bones of the computations and techniques of SPC, and to take you to the point where you understand how simple and easy it is to continually and relentlessly reduce production costs, leading to a better bottom line.